AS MILLIONS STRUGGLE TO SURVIVE IN THE WASTELAND THAT AMERICA HAS BECOME, A YOUNG MAN FIGHTS TO MAINTAIN ITS FOUNDING PROMISE. Starvation, violence and death run rampant in the remains of our once-proud country. Federal troops, commissioned to protect the homeland, have turned their guns on the lawless population. Citizens find shelter in government safe zones while ruthless gangs enforce their will outside the camps. When the military transforms Washington's life-saving food bank into a gun collection center in order to disarm all but the soldiers themselves, riots ensue. Weary of the militaristic government's intent to render the citizens defenseless, America's remaining patriots begin a mass migration out of the camps in search of refuge. 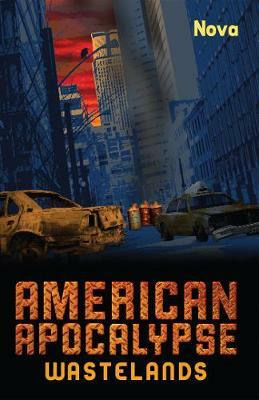 American Apocalypse Wastelands tells of a young man discovering the role he must play to defend himself, others and his country as everything around him crumbles. It is a revised edition of American Apocalypse II: Refuge.